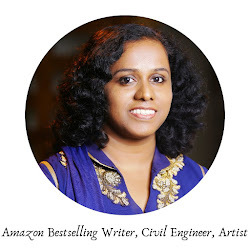 Today on 'On-Writing', we have the best-selling author Aniesha Brahma, whose book 'When Our Worlds Collide' is ruling the Amazon Bestseller charts currently. Aniesha Brahma knew she wanted to be a writer since she was six years old. She was schooled in Dolna Day School and went on to pursue B.A., M.A., and MPhil in Comparative Literature from Jadavpur Univeristy. 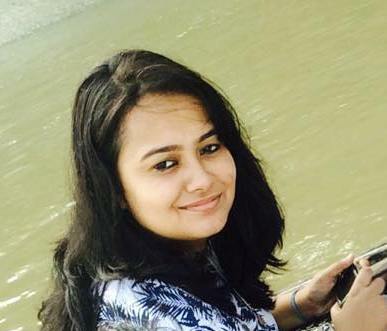 She currently lives in Kolkata, with her family and five pet cats. The Secret Proposal was her debut novel, followed by The Guitar Girl. She was a contributing author with her story The Difference, in the anthology: Voices, Old & New. When Our Worlds Collide is her third work of fiction, and the first novella. No. Not really. Being an author is just part of who I am. Most of the time they become interested in how stories into being.J They’re fascinated by the process. 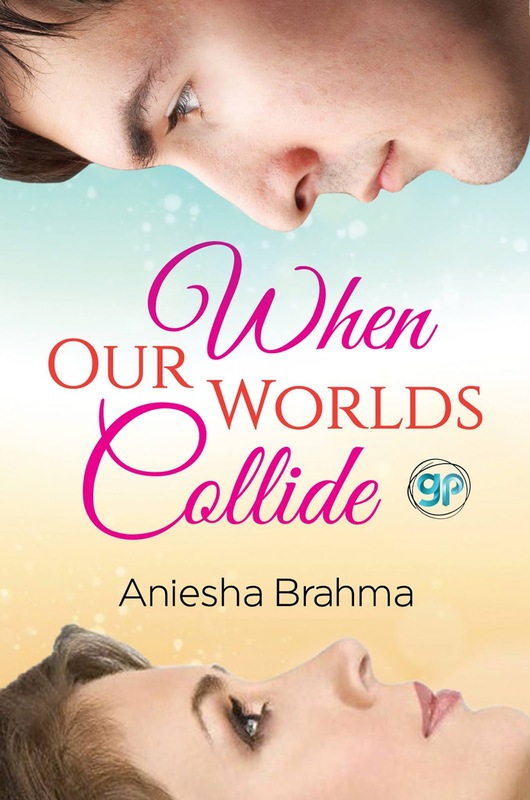 Your latest novel ‘When our worlds collide’ is different from the other clichéd romances. What prompted you to think out of the box? 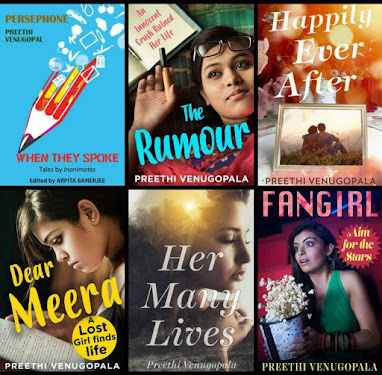 A lot of my friends asked me to write something that wasn’t on the line of clichéd romances. And then, a few of my own experiences triggered the story for When Our Worlds Collide. Your book is currently ruling the #1 position in the Romance best-seller chart on Amazon. How does it feel at the top? It feels really good! Because when you put a lot of work into a book and see that effort paying off, you do feel so happy and so good! They emerge from random experiences in my life and then unless I write them down to make sense of them, they haunt me. I do get affected by writer’s block. Try to do something else for awhile. Do anything, except think about the story. Forcing myself to write never really helped me. The wee hours of the night. The time that’s hardest to be alive in, with 4 am knowing all my secrets as Poppy L. Brite had once said. I drink a lot of tea while writing. Share a quote or snippet from ‘When Our Worlds Collide’? “It could be right and it could be wrong. But what matters most is what I think.” – Akriti. All your books are love stories. Do you plan to write in any other genre? 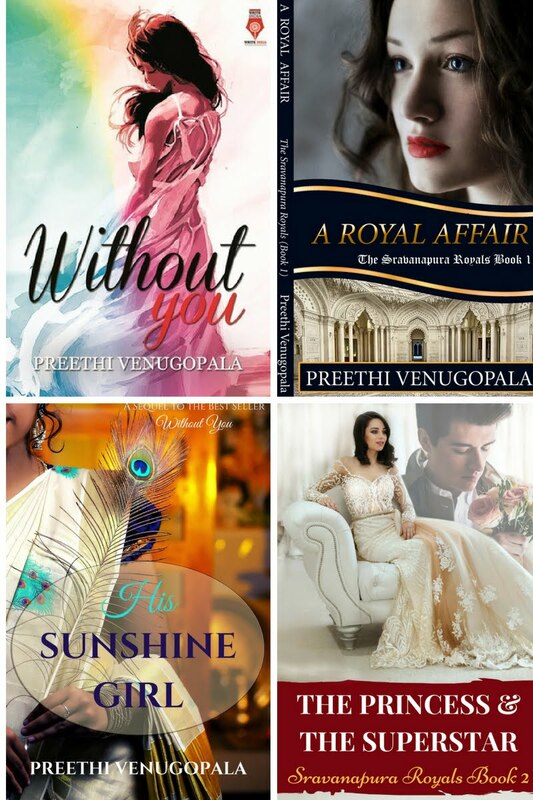 I feel comfortable writing unconventional romance tales…and yes, they are love stories. But I try to use the elements that would surprise my readers. This really is my forte. I might try to write in another someday. I don’t know. I haven’t decided yet. Everyone who’s part of my life. Everyone helped…with their encouraging words and snide comments. I believe everything that happens to you ultimately helps you become who you are. I didn’t find a lot of success with the first book, but all the mistakes I made back then, helped me get better. And here I am! 1) Read. Read whatever you can get your hands on. 2) Write. No matter how busy or tight your schedule gets. Get up early or stay up late, but keep writing. 3) Be observant. You never know what might trigger an idea for a story! Thank you Aniesha! I wish you the very best in all your future endeavors. Do buy her book. It is a must read for all romance lovers.